Arrr You Ready for Valentine’s Day? 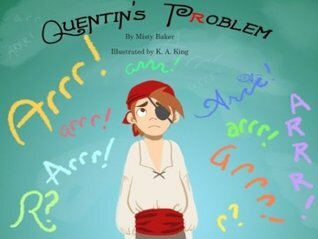 Treat your little pirates to a live reading of Quentin’s Problem, the story about a pirate boy who can’t say Arrr! Join me on Valentine’s Day at A Reader’s Corner Bookstore for their children’s story hour at 11AM. I’ll be in my pirate costume, reading Quentin’s Problem. We’ll also have loot and treats for the kiddos!! Signed copies of the book will be available for just $7.00! See ya there! < Previous Join Team Fuzzy Buzzy! Next > Thank ye, me hearties!! !